Selena Thinking Out Loud With Purpose is happy to promote and share this giveaway for Oofos Shoes! Life is must better lived when you feel comfortable. So why not continue living comfortably with Oofos Shoes. Read the reviews and enter the giveaway with the Rafflecopter Form provided below. This giveaway is for two (2) winners so your chances are much greater to win! The promoter, Selena Thinking Out Loud With Purpose, hosts Shopping With Les and Xtreme Qpon who have teamed up to bring you this awesome giveaway! 2 winners will receive a pair of Oofos Shoes in their choice of style, size and color. Oofos are amazingly comfortable shoes! Check out the reviews below! Click Here to read Oofos Review from Shopping with Les! Click Here to read Oofos Review from Xtreme Qpon! Enter the Rafflecopter below for your chance to win! The more entries you complete, the better your chances! Good Luck! Disclaimer: Selena Thinking Out Loud With Purpose is not responsible for shipping of Oofos shoes. The hosts, Shopping With Les and Xtreme Qpon for this giveaway will provide both winners mailing addresses to Oofos for mailings. Selena Thinking Out Loud With Purpose is promoting this really nice company who knows what it means to provide people with healthy alternatives and that goes for gum also. This company is Glee Gum and we were so excited to share their product and a great review from a user of the gum, who is gluten sensitive. She provides her review below, coupon for you, and a chance to win some of this great gum! It's simple to enter, just complete the Rafflecopter form below and you will be all set. To your health, Selena. This review and giveaway is hosted by WomanlyWoman.com and is promoted by several blogs including myself, Selena Thinking Out Loud With Purpose! The giveaway is sponsored by Glee Gum and will be delivered directly to the winner from the company. Glee Gum is all-natural, gluten-free chewing gum with no artificial coloring, flavoring, sweeteners nor preservatives. Glee Gum is the only gum in North America made the old-fashioned way, with chicle! 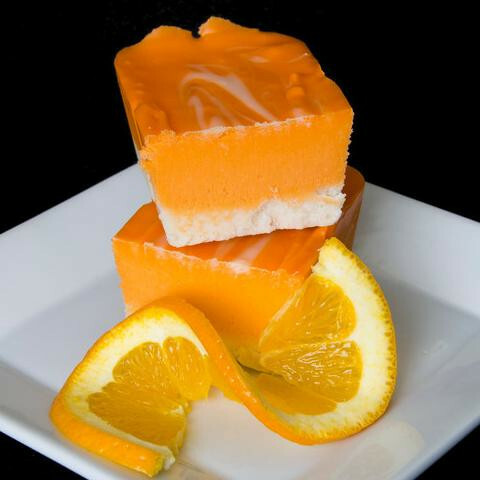 Chicle is a natural tree sap harvested sustainably from the rainforests of Central America. Once all chewing gum was made with chicle, but today most gum is made entirely from synthetic stuff. Not Glee Gum! Glee Gum uses chicle because it is an eco-friendly way to help conserve the rainforest. Chicle is also what gives the gum such great, long-lasting chewing texture! Glee Gum is a “green” gum right down to the packaging, which is made from biodegradable, recycled cardboard. So chew with Glee, naturally! Oh boy! 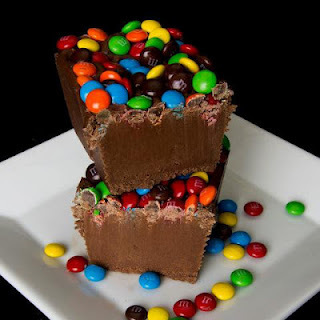 This is a Fudge Lovers Giveaway that I promoting and sharing with you, my readers and subscribers of Selena Thinking Out Loud With Purpose. I am a lover of sweets especially when tender loving care is put into the preparation process. I am delighted to share Mt. 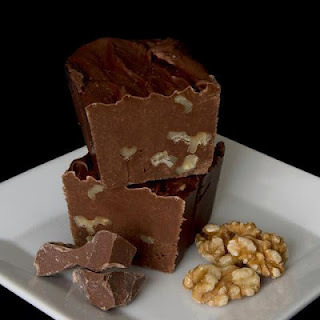 Baker Candy Co. FUDGE with you by way of this nice review and giveaway by fellow blogger SaraLee's Deals Steals & Giveaways! Now for the giveaway: One (1) lucky person will win a 1/2 pound box of fudge in winners choice of flavor. This is open to the US lower 48 states only and ends 8/14 @ 11:59 pm est. To enter, simply do the tasks on the Rafflecopter widget below and you're set to have a chance to win! Selena Thinking Out Loud With Purpose is excited to announce another Blogger Community Hop, hosted by BloggerPR. I am not only promoting this giveaway, but also giving away $30 PayPal Cash! YES, right? 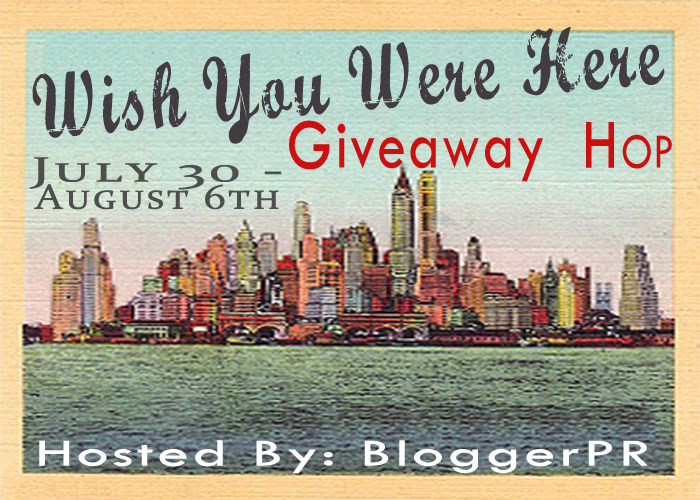 Read the Welcome Message from our host, enter my giveaway below and then hop to other bloggers below in the list! Pace yourself and have fun! 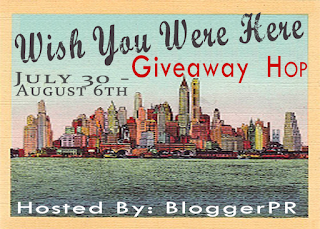 Welcome to the Wish You Were Here Giveaway Hop! While thousands of bloggers flea to New York City for a blogging conference, we thought it would be a great idea to kickoff a giveaway for our readers (before we left)! This event is hosted by BloggerPR and will run from July 30-August 6, 2012. Each giveaway prize is valued over $25.00, so you are bound to find something you love! Good luck and have fun! No Rafflecopter Form for MY $30 GIVEAWAY, just follow the two (2) steps below! This will run from July 30-August 6, 2012! STEP 2: Leave a Comment (BELOW) this post telling me your Facebook Name and Email to contact you if you are the winner! That is IT! Now you can hop around to the other bloggers listed below! YAY! Disclaimer: The winner will be selected randomly using Random.org, please make sure you leave your Facebook Name and Email below in the comments for your entry to be valid. One entry per facebook account! Open Worldwide.The winner will have 48 hours to respond to winner email before a new winner will be selected. Week #3 Winner for #WinThisBag Tod’s White Leather Shoulder Bag #Giveaway! The Win This Bag Giveaway Winner for Weeks 3 has been announced by the sponsor, HipSwap! The winner has been contacted by email to receive their Tod’s White Leather Shoulder Bag ! This Giveaway has ended! Next Thankful Thursday 8/2! Selena Thinking Out Loud With Purpose is in the giving spirit and wanted to give one of my readers or subscribers a chance to win $25 PayPal Cash for this 7/26 Thankful Thursday! I'm making this simple for EVERYONE. No Rafflecopter Form, just follow the two (2) steps below! This will run from 4:00PM/PST (7:00PM/EST) - 8:59PM/PST (11:59PM/EST)! TONIGHT ONLY! Disclaimer: The winner will be selected randomly using Random.org, please make sure you leave your Facebook Name and Email below in the comments for your entry to be valid. One entry per facebook account! Open Worldwide. The winner will have 48 hours to respond to winner email before a new winner will be selected. Selena Thinking Out Loud With Purpose is so happy to be promoting this AWESOME Giveaway and supporting Bay Area Mommy's 1st Blog Anniversary! To celebrate, she is giving away a Kindle Fire and Diamond Candles, which you have seen my recent giveaways for both of these great prizes. There are so many options for you if you are the winner (s). There is even an Amazon Gift Card option. Read the note from the host below and enter on the Rafflecopter form below to complete your entry. Good Luck, Selena. Bay Area Mommy is celebrating her 1st blog anniversary with a giveaway for a Kindle Fire (or $200 Amazon gift card) and 2 Diamond Candles. Kindle Fire is open worldwide but the 2 Diamond Candles is restricted to the US only since they don't ship outside the US. Giveaway will run from July 25, 12:01am EST to August 15, 11:59pm EST. Good luck! Disclaimer: Selena Thinking Out Loud With Purpose is not responsible for prize shipment. Bay Area Mommy is the featured host of this giveaway. Selena Thinking Out Loud With Purpose is so excited to announce the Grand Finale Bag for the #WinThisBag Giveaway sponsored by Hipswap! It gets even better with this fashionable bag that any woman would love to have in their closet, ready to strut out on the town with their guy. It's a Chanel Quilted Tote you are definitely going to want to have! It's very easy to enter on the Giveaway form provided below. Lastly, make sure to SHARE this post with all of your girlfriends who can't get enough of their purses on Facebook and Twitter! Good Luck, Selena. 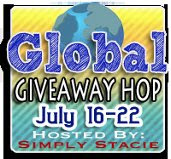 #GlobalGiveaway Winner for $25 PayPal Cash or Amazon Gift Card Announced! Entrant #9190 - Courtnie M.
Selena Thinking Out Loud With Purpose will be promoting this giveaway when it goes Live next month and also wanted other fellow bloggers to join in! You can read all about the Glass Handbag Giveaway Free Blogger Opportunity below and enter on the form provided. If you would like extra links, make sure to send your payment to the host as noted by her below! I can't wait! Welcome to Another FREE Blogger Event! Give your readers a chance to enter the Glass Handbag Giveaway! Jenn’s Blah Blah Blog and Diva Fabulosa bring you another awesome blogger opportunity! Most of you know how it works, for those of you who don’t it’s fun easy and fabulous! This time we have something special for you! We have been working with an awesome designer based out of Las Vegas, NV and she has agreed to giveaway one of her fabulous handbags! seriously they’re amazing, different and unique! Best of all Winner chooses what handbag they want from their website! Prices start at $580 and go UP, WAY UP! So what exactly makes these handbags so amazing? We have also learned that there’s some pretty big names that love the handbags we will be offering to our readers such as: Karina Smirnoff, Gladys Knight, and Katherine Jenkins. So what you get for being awesome enough to help us promote this wonderful event! You Must have a blog to join this event and Post Sign Up’s on your Blog! Event will run from Aug. 10th until September 10th and be open worldwide! You can bid on hosting pages for the event as well as Co-Host spots. please be sure and send payment to jennsblahblahblog@hotmail.com! Selena Thinking Out Loud With Purpose believes in the possibilities that education can bring children as well as adults. That's why we have decided to team up with a number of other bloggers to promote this Back to School Laptop Giveaway and celebrate blogger, Plum Crazy About Coupons, 10k Fans! We know that you will love this giveaway and have provided it to you, our readers and subscribers. To enter, read all about the Laptop Specifications and enter all of your entries into the Rafflecopter form provided by the host below. Good Luck, Selena. Welcome to the Back To School 10K Fan Appreciation Laptop Giveaway! 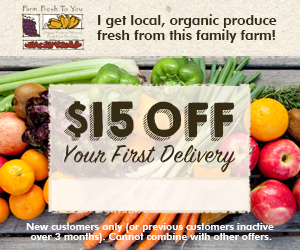 Plum Crazy About Coupons has teamed up with Sister's Saving Cents, and Life's Cheap Thrills and Tatum's Family Reviews, Mark Your Savings, Coupon Frenzy Mom, Free Tastes Good, to help me celebrate Back to School Time and my 10,000 Fan Appreciation at this time. The prize is a HP 2000Z-2a00 series. Value $400. 7/19 Thankful Thursday $20 DH Elegance Gift Certificate! Open Worldwide. Ends: 11:59PM/EST Tonight! Are you are novice or veteran blogger? Well, you're in the right place to join the MBS (Mom Blog Society) Blogger Networking Community. Selena Thinking Out Loud With Purpose just joined this great community and it's a great way to learn how to blog more effectively, for product review opportunitites and we just finished an insider MBS Weekend Giveaway, which you would've loved! I am so happy to be one of the promoters of this great giveaway! It's very simple to enter the $100 Amazon Giveaway too! Simply complete the Rafflecopter form below! Good Luck, Selena. Celebrity makeup artist Elaina Badro uses her own line of cosmetics brushes to create the looks for red carpet events, music videos, and high fashion shoots! You can easily get the same look with her Close-Up Starter Brush Collection. This Collection retails for $113, but your price is only $59 on Sneakpeeq! Even better, every purchase of Elaina Badro Cosmetics Brushes comes with a free complimentary gift—a beautiful Smudger Eye Brush worth $15. Use this brush to shade parts of the eye with precision. announcements and 50% off Capris from Silkies. Click the banner for more! Selena Thinking Out Loud With Purpose is so excited to be continuing on with the #WinThisBag Giveaway sponsored by Hipswap for Week#4! This week it gets even better with this fashionable bag that any woman would love to have in their closet, ready to strut out on the town with their guy. It's red and has the nice, fashionable name, Gucci, attached to it so you are definitely going to want to have this! It's very easy to enter on the Giveaway form provided below. Lastly, make sure to SHARE this post with all of your girlfriends who can't get enough of their purses on Facebook and Twitter! Good Luck, Selena. Thanks to HipSwap, you have the opportunity to win the exact bag that may have been on the arm of a famous celebrity! HipSwap is a mobile and web marketplace that connects buyers and sellers locally and nationally. It enables people to discover what’s inside the most fabulous closets, homes, and shops in neighborhoods and cities across America. HipSwap currently offers delivery service in Los Angeles and New York with its iconic pink delivery van.